Vikan products designed for use in contact with food and food-contact surfaces live up to these regulations, and we make the appropriate documentation readily available to you on our website. It is important to note that FDA food contact compliance alone is not sufficient in the EU. Products must be EU compliant and may additionally be FDA-compliant. To secure food contact compliance in Europe, cleaning tools must undergo rigorous migration testing performed by an independent accredited test laboratory. The tools are tested under different time, temperature and food type (e.g., acidic, aqueous, fatty) conditions, and the testing results are documented in an official Migration Test Certificate. 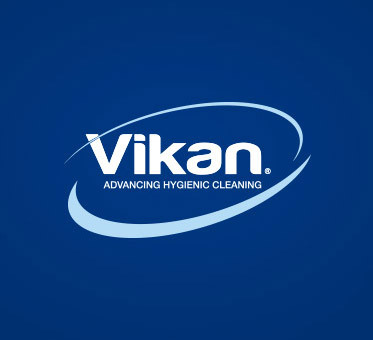 Every Vikan cleaning tool intended for contact with food and food-contact surfaces has passed EU migration testing. Vikan has a legal obligation to use the information in the Migration Test Certificate to produce a Declaration of Compliance, which adheres to all regulatory and auditor requirements. Declarations of Compliance are available for individual tools and will tell you how the tool was tested and whether there are any restrictions for its use. Declarations of Compliance are available to download from our website in 9 languages. To find the Declaration of Compliance for your tool, start by clicking below. Go to the product page of the required product, and download single declarations from there. Generate a list of several product items, and download all Declarations of Compliance at once. Technical data sheets are also available for all our products. These can also be downloaded from our website and contain additional useful product information, including whether a product is also EU or FDA food-contact compliant. In addition to complying with all relevant standards, Vikan maintains an exhaustive library of information about food safety, quality regulations and standards, and is always eager to share knowledge with our customers.